Addressing the nation, French Prime Minister Edouard Philippe spoke of the government’s attempt to understand the outrage of the French population, expressed in part through 21 consecutive weeks of at times violent protests against the state. Philippe said “The debates show us very clearly which way to go. We need to lower taxes and lower them more quickly,” adding that there was “huge exasperation” surrounding taxes in France, reports Ouest France. It is not the first time that the government have caved into tax demands by the protesters in order to try to end the yellow vest movement, with President Emmanuel Macron announcing last year that the government planned to cancel a proposed tax hike on fuel and also to end taxes on overtime pay, the changes took effect earlier this year. The French PM — the official head of government who works below President Macron — also discussed other passions identified during the consultation, including anger over a new speed limit on region roads introduced in 2018. The change was said by the government to reduce speed-related deaths, but it was strongly opposed by the Yellow Vest movement as a stealth tax on drivers through speeding fines. The Yellow Vest movement itself, which has now been marching on Paris and other French towns and cities for 21 weeks originated in unrest over President Macron raising taxes on drivers, and their name comes from the high-visibility vests that all French cars must carry by law. It was estimated in March that there were just under 15,000 protesters taking to the streets across France, with over 100 arrests for arson, looting, and violence. Police have resorted to the use of tear gas and water cannons on several occasions. 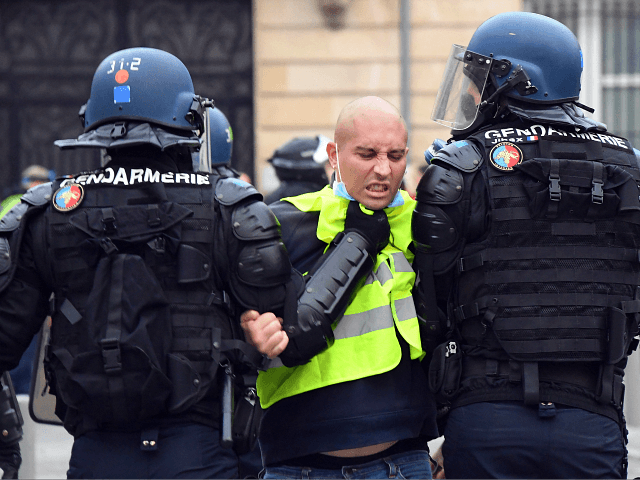 The French government has so far been unable to deter the protesters despite threats by the French Prime Minister of ‘Severe punishment’ for those arrested. Emmanuel Macron was elected in 2017 and has previously cut taxes for companies and high earners in an attempt to create a more pro-business economy, lower unemployment and increase business investment. These actions, however, coupled with France’s existing high tax burden, have led to him being seen as out of touch with ordinary people and favouring the wealthy at the expense of the rest of the country.